Can Housing Keep Up With Seattle’s Office Boom? Seattle is essentially gaining a second downtown with the emergence of South Lake Union (SLU) as a business and residential center where it seems new high rises sprout on a weekly basis. But with our booming new downtown and thriving old downtown pulling in commuters from across the region, Seattle’s transportation system isn’t keeping up well, nor are we balancing the corresponding residential growth well across the city. The development spree in South Lake Union, Denny Triangle and Downtown is paired with lethargy in many other neighborhoods and a profound sense of nostalgia and loss and a call for stasis while we process the changes around us. This is understandable, but, make no mistake, it’s also unhealthy and counterproductive. We cannot freeze Seattle neighborhoods in amber if we’d like Seattle to grow holistically and maintain a real hope for a significant amount of lower and middle class housing. Tuesday’s election results were a sign of hope that the city is responsibly dealing with growth, but much work lies ahead. Seattle is desperately clinging to its “neighborhood character” (read: suburban form) as its two downtowns boom, adding tens of thousands of jobs for people who may not be able to live in a predominantly suburban Seattle if they are not sufficiently rich, or will displace the insufficiently rich if they are. Seattle’s massive gains in office space must be paired with an expansion of housing on a similar scale. Enshrining as is Seattle’s suburban outlying neighborhoods (and its 65% of land zoned single family) while we add ten of thousands of high paying jobs in our two downtowns is sure to turn the city over to a playground for the rich. Below I detailed some of the towers planned or in construction. Almost invariably the residential buildings are 40-stories tall (give or take a floor) and cater to an upper class clientele. 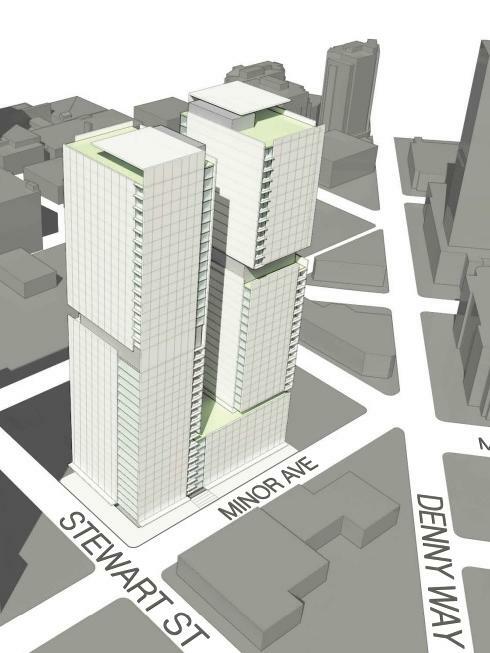 Essentially developers are maxing out zoned height limits and putting up 40-story towers wherever they can in South Lake Union and Denny Triangle. The drive to max out height limits is partially an expression of the great difficulty in building large projects in other parts of the city. Mayor Ed Murray’s Housing Affordability and Livability Agenda (HALA) committee recommended the city ease zoning restrictions across the city, but saw a loud backlash at its so-called “Grand Bargain“ thanks in large part to Seattle Times stoking the flames with Danny Westneat’s muckraking style column. A loud contingent of people did not like the idea of low density residential replacing the more homogeneous and Norman Rockwelliean “single family home” zoning since it might allow some of their neighbors to build duplexes, accessory dwelling units, or rowhouses or sell to people who would. No zoning change could force a homeowner to do such a thing on their own land. Hence I prefer NIMNBY to NIMBY if we use the word at all. Anyhow, the not-in-my-neighbor’s-backyard hullabaloo raged but then cried itself to sleep electorally as anti-growth candidates such as Bill Bradburd and Deborah Zech-Artis had a terrible showing in both the primary and general election. Meanwhile, the Council has adopted a resolution outlining milestones for HALA implementation. It’s fairly specific, but there is indeed some potential that some recommendations may not live on. Mayor Murray seems supportive of still rezoning single family zoned land within urban villages, which would likely account for only 7 percent of single family land overall. The two-year process has a long way to go yet and it’s not clear where the City Council and Mayor will ultimately fall on individual recommendations left on the table. The poor NIMNBY showing may give heart to the Mayor and the disheartened up-zoning advocates that were left out in the lurch. You can lend your voice to the HALA discussion the meeting at 2 p.m. at which the City Council is slated to vote on HALA’s mandatory inclusionary zoning recommendation. Council Member Licata didn’t think the HALA plan goes far enough or has a fast enough time table and endorsed Council candidate Jon Grant’s alternative plan. Grant took flak for breaking from HALA’s unanimity and ended up coming up short in his election bid to unseat sitting council president Tim Burgess. The so-called Sawant bloc didn’t do so hot and Erica C. Barnett was quick to claim Sawant lacked coattails. In earlier returns, Barnett was correct, but she may have to eat crow if some Sawant-aligned candidates make Sawant-like late charges to win come from behind victories. In District 1, the more Sawantian candidate Lisa Herbold is still alive, trailing Shannon Braddock by just 104 votes as last minute typically progressive leaning votes come in. In District 2, Tammy Morales still has hope against placeholder incumbent Bruce Harrell and trails by 378 votes in the latest tally. The other races have been decided, and incumbents (Sawant, O’Brien, Bagshaw, Burgess) and Latinas (Juarez and Gonzalez) dominated. Also a white guy named Rob Johnson prevailed in a close race with fellow white guy Michael Maddux. Candidates endorsed by The Urbanist did pretty well with only Maddux having conceded defeat and Braddock ahead and Morales still in the running. 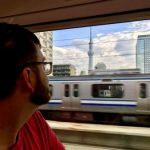 The most unequivocally good news for urbanists and transit advocates was that Prop 1 (Move Seattle) dominated with 58.75% of the vote thus far. This portends well for the $15 billion dollar ST3 levy, which will be on the ballot next year. 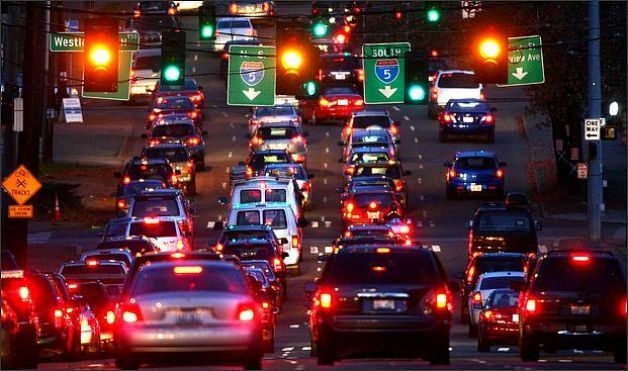 Moreover, it demonstrates a real interest in investing in transit and bicycle and pedestrian facilities. The intensification of land use in South Lake Union will force Seattle, whether it likes it or not, to build out the transit network to handle the new demand. And that didn’t appear to be happening very quickly — thankfully Prop 1 is progress in the right direction. More buses alone would provide poor service. The great misfortune for SLU is that the major east-west thoroughfares, Denny Way and Mercer Street, get very gridlocked as I-5 gets backed up during the city’s lengthy rush hours. More buses would still face the same rush hour delays, which might get worse as more giant parking ramps go in with these new towers. A Metro 8 Subway line would help alleviate east-west movements. Although Seattle Subway is promoting the Metro 8, Sound Transit hasn’t taken much interest and seemed to consider the Metro 8 beyond their scope of ST3. Perhaps a value added tax on all the swanky new towers would provide a new source of funding revenue. Or Sound Transit could come to their senses. Metro 8 or not, Seattle’s transit network faces the challenge of serving two major job centers. Our present center and spoke design converges downtown, but has a harder time serving South Lake Union where our second great job center is growing. The whole system may need to be re-calibrated and made more grid-like rather than spoke-like to offer better service to South Lake Union. Let’s start with Amazon. They largely unleashed this flurry of construction as they expand their corporate campus in a multi-phased plan that will eventually reach 10 million square feet in office space, enough for 71,500 employees. Residential units in towers neighboring the campus will market to Amazon employees, while neighboring office space will cater to companies wanting to take advantage of the tech incubator that has grown in Amazon’s shadow. Under construction, Amazon has two 38-story office towers at Seventh and Lenora next door to an elaborate artsy complex consisting of three concentric 95-foot tall spheres, which will contain office and retail space. Amazon’s next phase will apparently include this 23-story office tower paired with an 8-story one at the Bell Street and Seventh Avenue block currently hosting the Hurricane Café. Now enter the many projects popping up around the Amazon campus. Tilt49 is under construction by Touchstone at Boren Avenue and Stewart Street. Containing a 40-story residential tower and an 11-story office building, the megaproject replaces a Goodyear store and a surface parking lot. Touchstone is nearing completion on an 11-story hotel and office building across the street they’ve named Hill7. The hotel will contain 222 rooms and probably be a Hilton Gardens and the office will have 300,000 square feet of space. 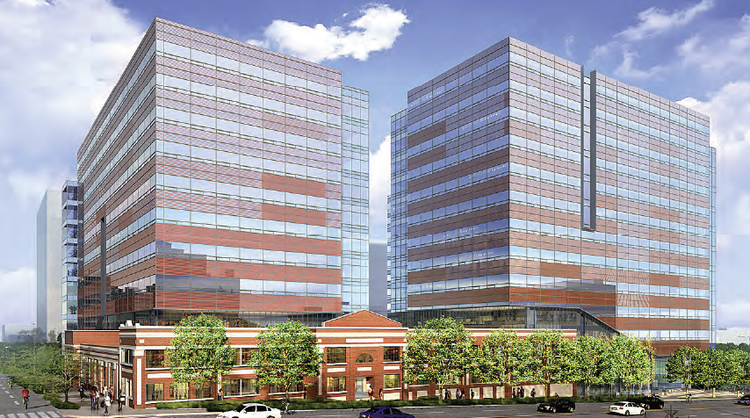 Touchstone also has an 820,000 square-foot office complex with two 12-story towers at Boren Avenue North and Thomas Street. So far the project is called Troy Block for the laundry that formerly operated at the site. The name is obnoxious enough they just might keep it for good. Or replace it with a monosyllabic word with a number after it. Apparently, Amazon has already leased up the whole shebang. GID is wrapping up construction on a 40-story downtown residential tower at 2030 Eighth Avenue with 355 luxury units. It’s designed to achieve a Silver LEED rating and will include 3,000 square feet of retail. Clise Properties is set to break ground this fall on a 40-story apartment high rise at 2202 Eighth Avenue. The 435-apartment project is across the street from the new Amazon megacampus. It will contain nearly 390 underground parking stalls. Clise Properties has two more 40-story towers in the works at 2301 Eighth Avenue. 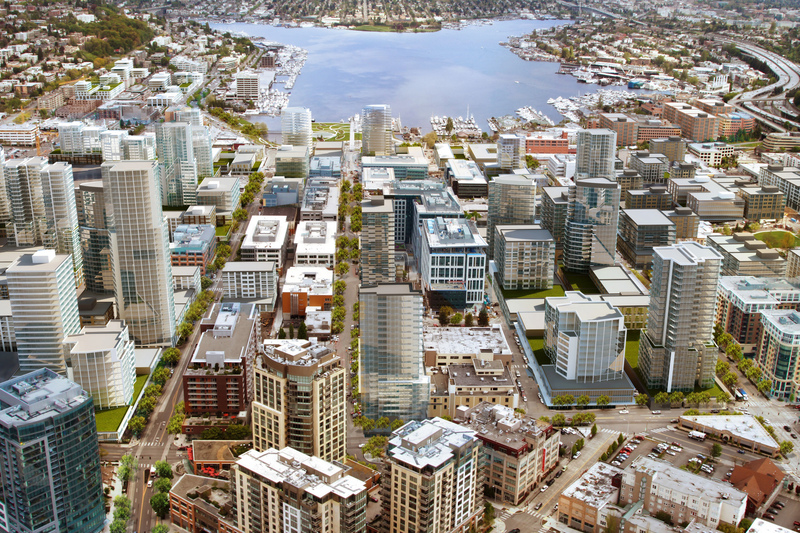 Puget Sound Business Journal’s Marc Stiles reports, “The project will have a total of nearly 750 housing units, 181,000 square feet of office on five floors and 21,000 square feet of retail. There will be 960 stalls of motor-vehicle parking and 400 spots for bicycles.” Clise also has an 11-story data center in the pipe at Bell Street and Sixth Avenue. The data center could provide heat and electricity to neighboring buildings if it gets built, but otherwise would be a pretty boring looking building. In May 2015, Miami-based developer Crescent Heights unveiled plans for a pair of 39 story towers at Stewart Street and Minor Avenue, which is presently occupied by a small office building and a surface parking lot. 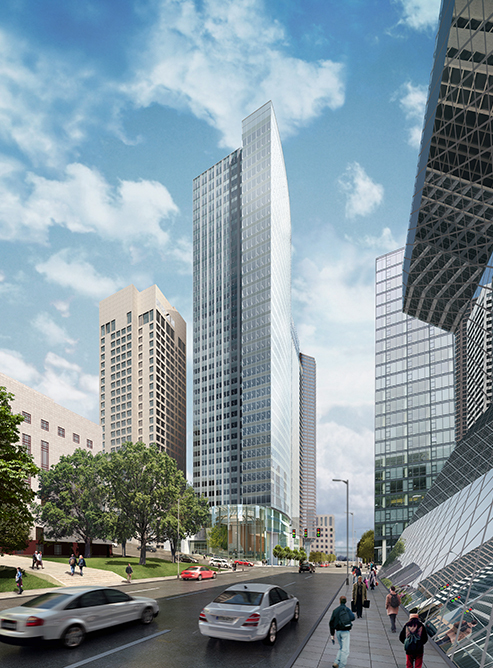 The towers would contain approximately 600 apartments and 440 parking stalls. 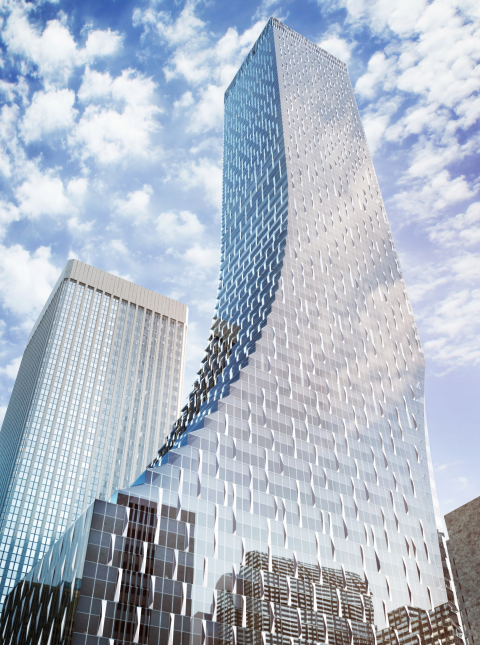 Crescent Heights is also making news for its recently proposed 101-story tower Downtown at 701 Fourth Avenue. 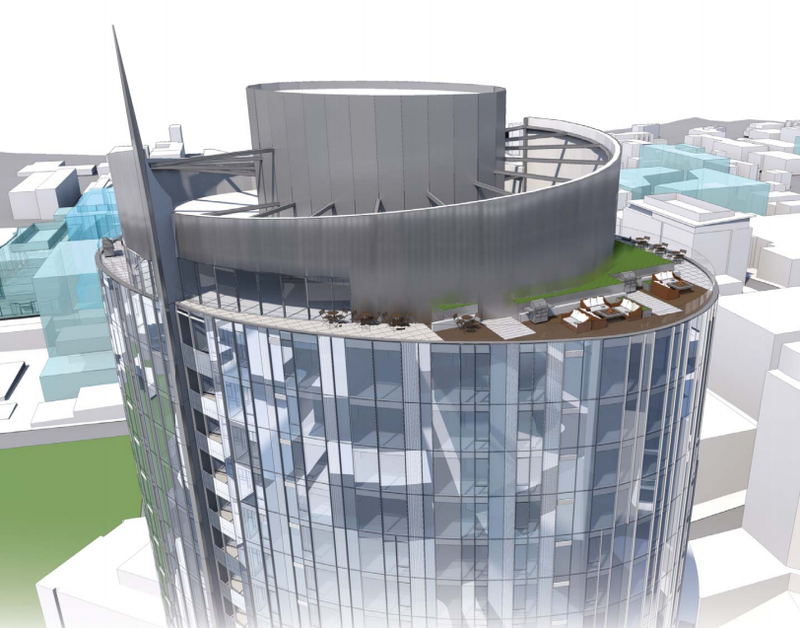 Holland Partner Group has a 400-foot high-rise of its own slated for 970 Denny Way. Nearly 460 apartments and 17,000 square feet of retail would replace the former site of Ducky’s Office Furniture. 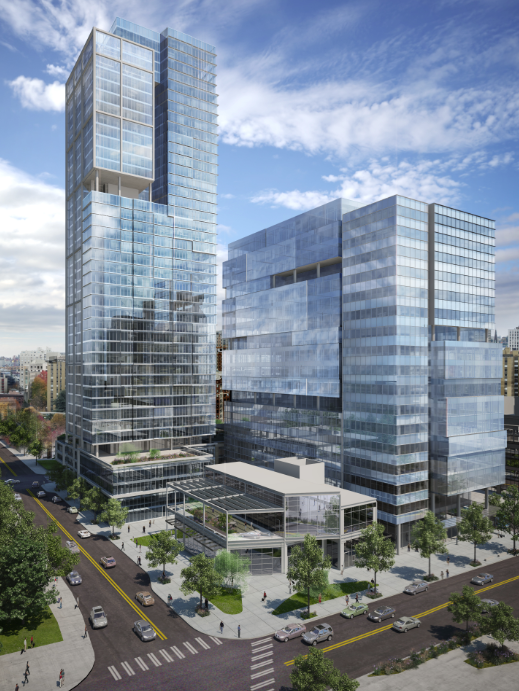 Vancouver based Onni Group plans to build a four-tower complex at the former Seattle Times complex on Denny Way between Boren and Fairview Avenues. Two towers would be 400 feet tall (upwards of 40 stories) and two would be 240 feet tall for a total of around 1,945 apartments and 1,700 underground parking stalls. 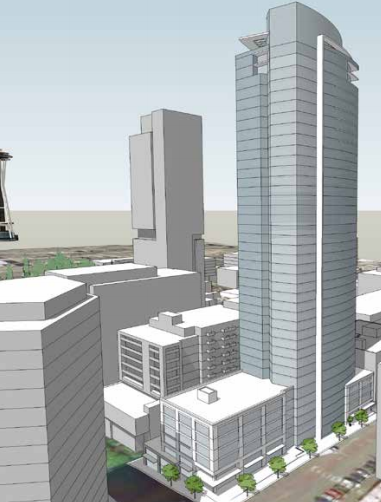 Paul Allen’s Vulcan Group has plans for a 41-story residential tower and an 18-story office building at Denny Way and Westlake Avenue. The tower would replace the Denny Playfield and the office building would replace Vulcan’s Discovery Center “which gives an overview of real estate development in the area, will be dismantled and assembled at a new location. It was designed to be dismantled and moved when it was built about nine years ago,” Puget Sound Business Journal reports. Vulcan also has a 12-story office in the works a few blocks south on Mercer Street and Westlake Avenue replacing a building currently occupied by Guitar Center and Uptown Espresso. 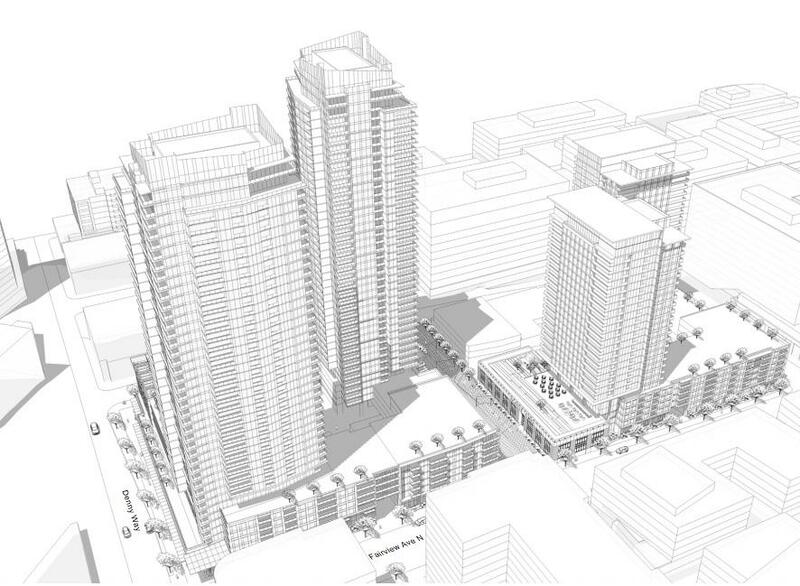 The preponderance of 40-story tower projects in South Lake Union begs the question, why not 60- or 80-stories? The demand for housing is so high and the outlet for tall projects is so limited (the wider downtown community) that developers are gobbling up all the available space to height limits. 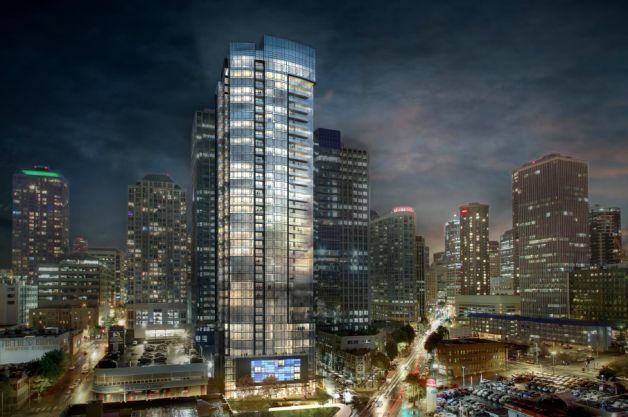 Expanding the South Lake Union height limit would serve the purpose of giving developers the option to build higher and break up the monotony of all 40-story buildings. Architecture critic James Russell criticized the towers of the Amazon campus: “Amazon wants the towers to fade into the downtown-edge background, but they are so lacking in character that they stick out embarrassingly,” according to SeattlePI.com. “Russell goes on to describe the towers as ‘leaden,’ with ‘dumb exteriors’ that ‘fail to evoke the authentic grit and variety of the slickly remodeled warehouse districts they imitate.’” The rest of the towers fall similarly into that category. 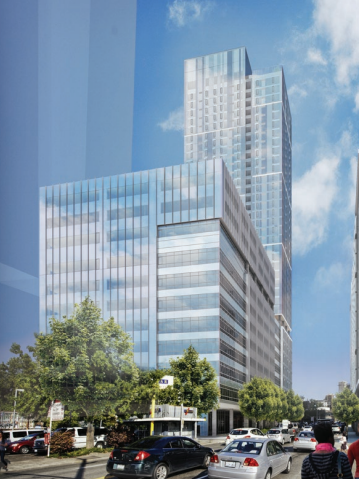 Russell might be overly harsh, but the point is taken nonetheless that a wall of essentially undifferentiated 40-story towers could turn South Lake Union into a very bland urban space. Downtown also has a slough of projects on the way and not all are limited by height restrictions. The Mark at Fifth and Columbia is a pretty badass 43-story office tower complete with a so-called “living wall” of plants in a vertical plane. 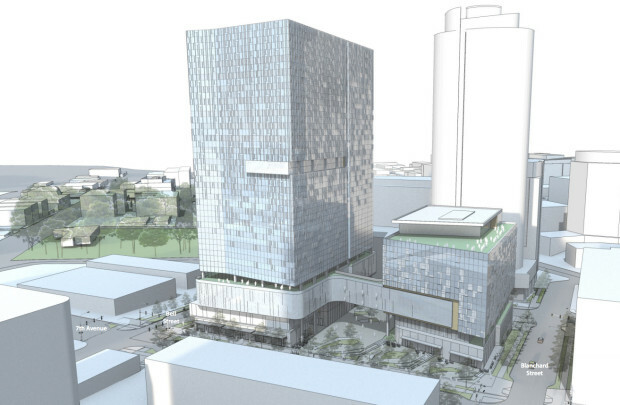 The tower will include an SLS hotel on the lower floors and 528,000 square feet of office space on the upper floors. 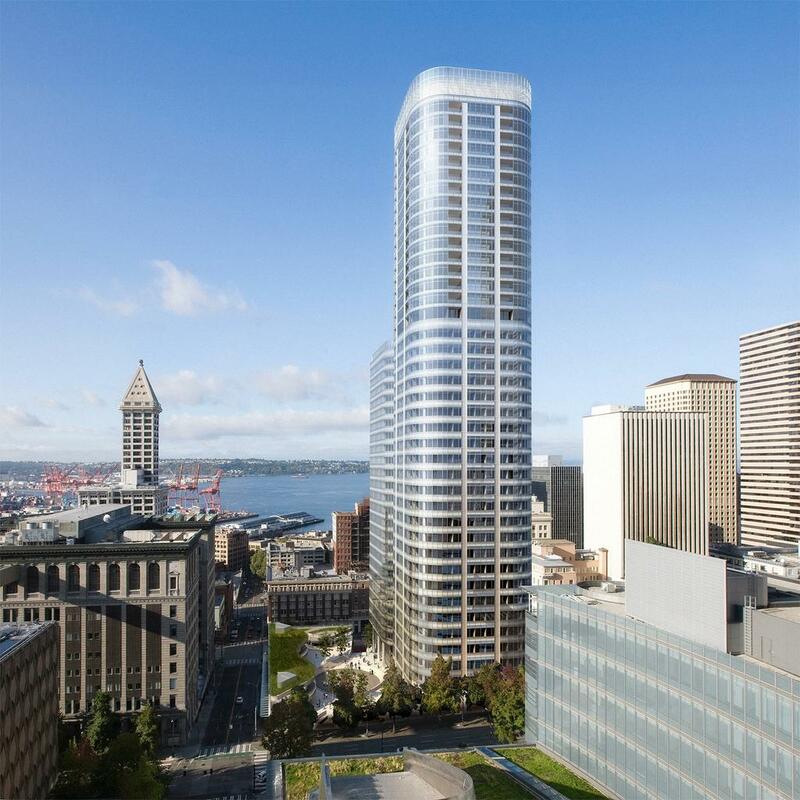 The 58-story Rainier Square is set to begin construction next year at Fourth and Union Street. The glass curtain tower has a distinctive vertical curve design housing its 780,000 square feet of office space, 71,000 square feet of retail, 180 “high end” housing units, 150 hotel rooms and 880 underground parking stalls. The 36-story Madison Centre is under construction at 505 Madison Street with 740,000 square feet of office space, 8,000 square feet in retail and 480 underground parking stalls. The developer, Schnitzer West, expects Silver LEED certification. 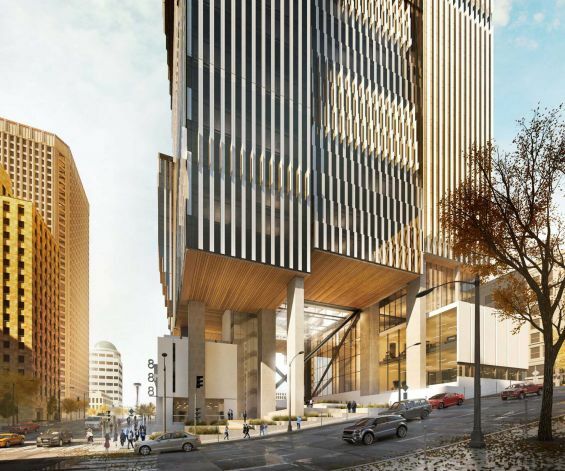 The long planned, much maligned The Tower at Civic Square might still be going up despite fallout from a lawsuit and allegations of political blackmail related to said lawsuit. 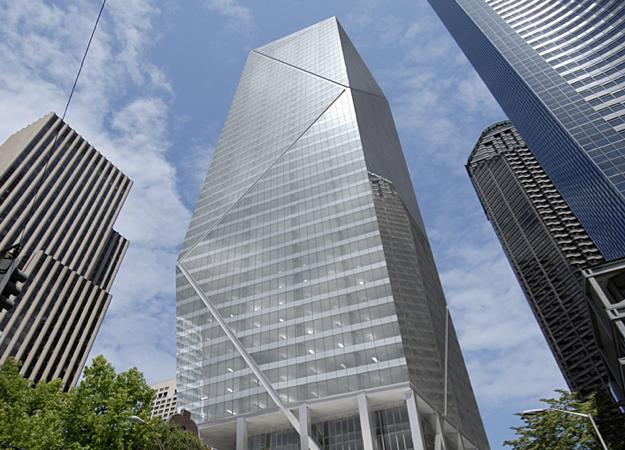 The 43-floor is seeking LEED Platinum certification for its 1.13 million square feet. Greg Smith’s Urban Visions is attempting to build an iconic 60-story skyscraper at the site of the Metropolitan Grill. Smith wants his tower to be the creative skyscraper he says Seattle is missing from its skyline. 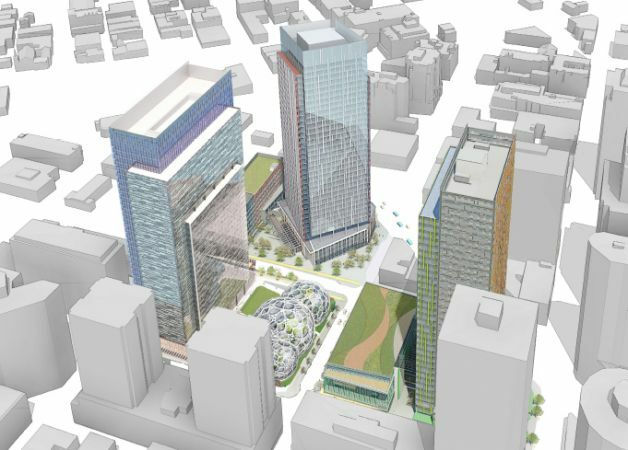 “Smith says a part of the base of the 60-story tower will be lifted 100 feet off the ground, allowing space for pedestrians to walk underneath” Seattle PI.com reports. “The core of the building will be hollowed out, allowing passers-by to look up through the structure and into the sky.” The open atrium design would also draw natural light into the interior the building. 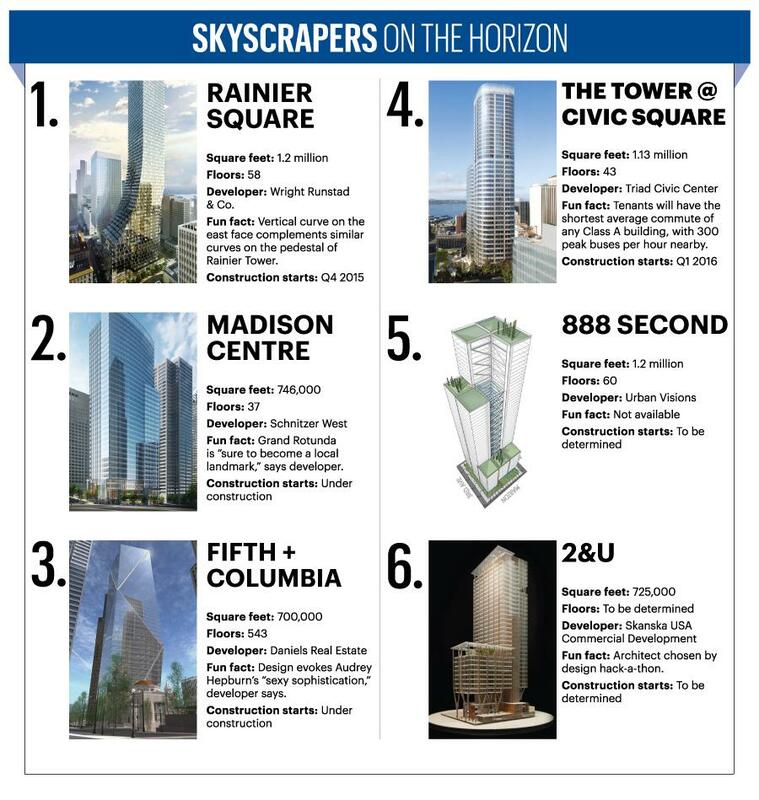 The 888-foot tower would be the second tallest in the city asked the 943-foot Columbia Center. Timber giant Weyerhaeuser’s new 7-story corporate headquarters in Pioneer Square is under construction. Replacing a surface parking lot, the building will include 166,000 square feet of office space, street level retail, and a mere 68 underground parking spots (bravo!). So you can see the Seattle skyline is changing and growing up. The question is whether Seattle will expand its infrastructure and city services to match the facelift. Will we simply look like a more mature and modern city or will we actually be one? Editor’s Note: Many of our readers brought to our attention that the use of ‘bipolar disorder’ in the title of this article was not appropriate. We agree and changed the title. We appreciate that our readers are open enough to constructively share this criticism with us. We’ll continue to strive to be intentional about the language we use.